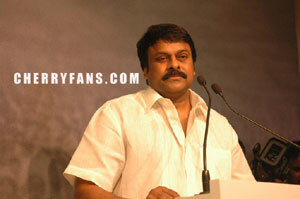 Home > Updates > News > Who Said Chiru Is Money-Minded? Who Said Chiru Is Money-Minded? Ever since Megastar Chiranjeevi has stepped his foot into the world of politics, he is being ridiculed and subjected to the claim that anything he does, it is only for money. If he does not see money in it then he will not even think about it, leave alone make a move or work towards it. However, all such things seem to be part of a blatant hoax once you read this. All of you remember the hit film 'Style' starring Lawrence and Prabhu Deva and produced by Lagadapati Sridhar under his banner. Apparently, Megastar did a small cameo in the climax of the film which always stood as a highlight for the film. It is heard that when Chiru did this, it was solely to help Lawrence and promote his career at that point of time and he had also sent out a strict word to the unit of 'Style' that not only him but not even any of his men that come along with him must not be given any money or any other gifts. Guess this must silence all those who think that Chiru does all for material gains. There were many such occasions when Chiru served without accepting a paise.